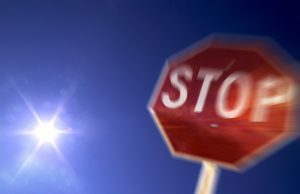 Stop sign accidents are common car accidents in Boston as they are in every metropolitan, suburban or rural area. Motorists who are in a hurry or who are driving at night or in rural areas often consider a stop sign a nuisance that is interrupting their travel, especially when they assume there is little or no traffic around. 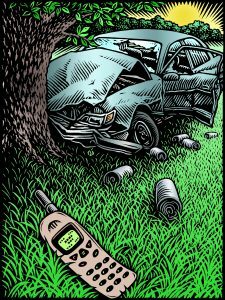 For others who are too busy texting or on the phone, or perhaps too intoxicated, they may not even realize that there is a stop sign and proceed directly into the intersection and into the path of another vehicle. Nevertheless, such collisions can result in serious and catastrophic injuries that can change lives forever. If you have a serious injury or a loved one was killed in this kind of accident, contact Neil Burns & Roshan Jain, car accident lawyers, to discuss your legal rights and remedies. At a 2-way stop, one driver wants to turn while the other plans to proceed straight ahead. Without making eye contact or being courteous, the drivers go at the same time and a collision ensues. At a 4-way stop, the motorists need to take turns on proceeding, but one driver jumps the gun or fails to stop at all and collides with another vehicle. Rear-end collisions occur when a car behind one stopped at stop sign simply fails to see the car and runs into the rear, or is going too fast and cannot stop in time. Side impact collisions happen when a motorist has made the turn and another driver decides to proceed or simply does not stop at all. Passenger injuries are common in side impacts. These intersections were ranked among the worst or most dangerous in the state. Motorists should be especially cautious when they find themselves at these locations. Unless your vehicle was rear-ended at a stop sign, it can be difficult to establish just which motorist was liable for an accident. If the dispute has no independent witnesses, then the trier-of-fact may determine it was just as likely you were at fault as the other party, especially with aggressive insurance defense trial lawyers. In this case, you may receive no compensation unless you can at least show that both you and the other motorist were equally at fault. Retain Boston car accident lawyer Neil Burns who can assess the facts of your case and see if a thorough investigation may turn up evidence that supports the culpability of the other driver. This may include interviewing possible witnesses, measuring skid marks, examining where the impact damage occurred on each vehicle, where in the intersection the impact occurred, and possibly using the services of an accident reconstruction expert. Even if you were rear ended, the insurance industry will focus on reducing your damages at every stage. Intersection accidents commonly produce the most serious injuries. These include traumatic brain injuries, disfigurement, spinal injuries, broken bones, and internal organ injuries. If you were injured as a result of a stop sign accident, you are entitled to compensation if another party is found liable. A car accident lawyer is essential for your claim since the burden of proving your damages is on you. Your attorney can obtain the necessary medical records, specialist’s reports on the nature and extent of your injury, documentation of your loss of wages, and expert reports regarding your inability to engage in certain physical activities and possible permanent loss of physical or mental functions. Neil Burns & Roshan Jain has been a Boston car accident lawyer representing the interests and rights of injured victims since 1985. If you or a loved one has sustained a serious injury in a car accident, or you have lost an immediate family member in an accident, contact him today for a free assessment of your accident claim at (617) 227-7423.